In 2003, Newburyport teenager Neil Bornstein suffered a traumatic brain injury in an accident that killed his girlfriend. His mother tells of the journey the entire family took. Dr. Carolyn Roy-Bornstein, a pediatrician who lives in Newburyport, has written a memoir about the accident that injured her son Neil Bornstein, now 27, and killed his girlfriend. THE CALL CAME FROM TRISTA’S MOTHER, Mary Zinck. Trista had eaten dinner at our Newburyport home that evening and Neil was walking her home. “Wherearethekids?” she asked before I even said hello, her words loud in my ear and tumbling into one another. “They should have been to your house by now,” I said. I ran all the way to the crash scene, but the ambulances had already gone. A neighbor drove me to Anna Jaques Hospital. A nurse brought me to my 17-year-old son. He lay in the middle of an empty cubicle, a skimpy white sheet pulled up to his neck. His clothes lay in shredded piles on the floor around him, cut from his body in haste. Two plastic-foam blocks were taped to either side of his head. I laid my hand across his forehead, and his eyes fluttered open. Neil and his girlfriend, Trista Zinck, were struck by a drunk driver while walking along Ferry Road in Newburyport on January 7, 2003. Here, how the street looks today. He knew me. I felt a rush of relief. But he drifted immediately back into unconsciousness, and my brief elation gave way to fear. A doctor came in and introduced herself. “Looks like a hit and run,” she said. At that moment, a nurse entered and deftly released the brakes on Neil’s gurney with her foot while swinging the bed around and wheeling him out the door. “You can follow us to CAT scan,” she offered. I looked back at the doctor. “It’s just a precaution,” she called after us. The nurse wheeled him into the radiology suite, motioning toward a couple of lonely plastic chairs in the bare hallway. I took a seat and waited. The scanner door opened, and the nurse pushed Neil’s stretcher back down the hall toward his room. My husband, Saul, who had joined me at the hospital moments before, touched Neil’s head as they moved. Neil opened his eyes and looked at me. “Hi, Mom,” he said, monotone, and then closed his eyes again. His father looked at me with a smile and a sigh of relief. My heart cracked. I felt as if it were light-years ahead of him in understanding the magnitude of what was happening. Not just because of my background as a pediatrician, but because Neil was repeating himself. He had no short-term memory. Every time he opened his eyes was like a new day for him. We waited in Neil’s cubicle for the doctors to give us the results of the scan. I could see a group of scrubs huddled in front of the light box murmuring over his films. When they looked up and moved toward us like one organism, I squeezed Saul’s hand hard. In case he needs a Richmond Bolt, I thought. An intracranial pressure monitor. I tried to push visions of Neil’s bandaged head out of my mind. While I was glad he was being transferred to a trauma center with the best neurosurgeons in the world, I was terrified that he might actually need one of them. Neil was growing more agitated. His head was hurting him. He thought he was in a gym. After each arousal, he fell back into a deep sleep. I ran my fingers through his curls, feeling for broken glass or dried blood, some evidence of the trauma he’d just been through. But there was none. I remember thinking, How can he have brain damage when he doesn’t even have dirt in his hair? He opened his eyes. 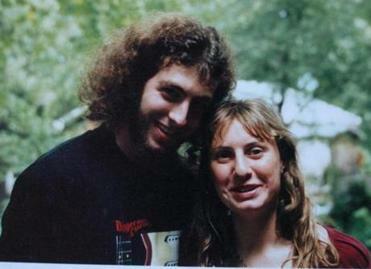 Neil and Trista in 2002. IT WAS JANUARY 7, 2003, when a drunk driver struck Neil and Trista Zinck, his 16-year-old girlfriend, as they walked the half mile from our house to Trista’s. Neil spent a week in intensive care at Brigham and Women’s Hospital. Consecutive CAT scans showed his brain bleed was stable. He did not require surgery on his brain, though the doctors did take him to the OR to repair his shattered leg bone and hold it together with metal plates and screws. Meanwhile, across town at Boston Medical Center, Trista was being pronounced dead. While Neil was being intubated for his operation, Trista was being extubated for hers: Her organs were to be harvested. Neil’s surgeons were opening his leg to repair his broken bones. Trista’s doctors were opening her so that others might live. It would be two more days before Neil was awake enough to ask about Trista. Saul and I moved our chairs close to his bed, held his hands, and delivered the awful news: Neil’s girlfriend was dead. He checked out immediately, pulling a blanket over his head, refusing to eat, ignoring his doctors, and banishing the physical therapists from his room. Neil spent a month recovering at home before returning to his senior year at Newburyport High School. Therapists came to the house, teaching Neil to walk, first with a walker, later with crutches. Bit by bit, he got back to his life. But that life was forever changed. Once the center of attention in a roiling bunch of high school theater kids, now he hung back on the sidelines, waiting for cues. He reminded me of my mother after her stroke. Mom would watch conversations from the edges of the room, smiling and nodding, but not actively engaged. Similarly, Neil would respond to questions asked of him, but seldom took the initiative to start conversations. His memory loss took an academic toll. Good grades had always come easily to Neil in high school. He got a perfect 800 on his math SATs. But after the accident, with his headaches and fatigue, he couldn’t manage more than an hour or two a day of academics at first. He quickly got behind. In the end, he needed to drop AP calculus to lighten his load and graduate with his class that spring. 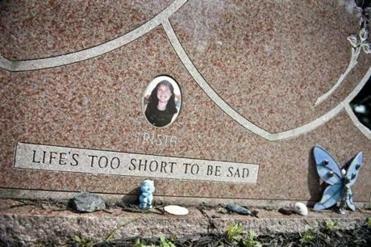 Trista is buried in Newburyport. At Skidmore College in upstate New York, despite making the most of all the help recommended to him — note-taking services, the writing center, taped lectures — he eked out grades a shade above mediocrity. His memory loss hampered him socially as well. He lost confidence, afraid to speak to people, unsure whether he had already been introduced to them. He dated little in college, ending one relationship when he realized the young woman acted too much like Trista. At his graduation four years later, he introduced us to a young woman he’d met on the set of Fiddler on the Roof. But that relationship sputtered out before it ever got off the ground. College allowed Neil to escape Newburyport, where he was the kid who lost his girlfriend, but he couldn’t escape for long. 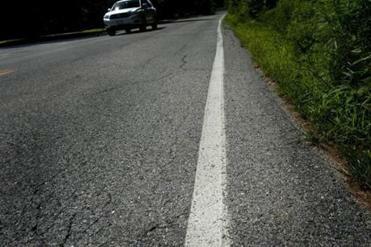 Every time he drove his car over the Merrimack River on his way home, his depression deepened like the fog on the river itself. As a doctor, I was humbled by all I didn’t know about traumatic brain injury. I didn’t know that damage to the brain can cause a depression that’s often worse and harder to treat than your garden-variety kind. But it made sense. All of the areas of the brain that regulate emotional stability were areas that were injured in the crash. Frontal lobes. Right temporal horn. The amygdala. Contusions, hemorrhages, fractures, volume loss. All in the right places to disturb the ability to modulate feelings. To be happy. Of course his depression was caused by his brain injury. How could it not be? NINE YEARS HAVE PASSED since the accident. With a determined resilience I did not know he possessed, Neil, now 27, has survived a horrific crash, braved surgery, overcome depression, managed memory loss, and advocated for help for himself. With the aid of family, friends, and professionals, he has gone from broken boy to thriving man. He has even found love again. Watching him turn obstacles into opportunities inspired me to take up the cause as well, becoming an ambassador for the Brain Injury Association of Massachusetts, advocating for survivors of traumatic brain injury and their families. Choosing to focus not on what Neil could have done without his brain injury, but all he has accomplished with it, despite it, our family has gone from grief to grace. Grace as a kind of acceptance, grace as thankfulness. Grace as finding new meaning in a changed life. In the early days, watching his transition from outgoing adolescent to morose young man and realizing it was all due to his brain injury, I tried to compensate for my lack of knowledge by obsessively reading all that I could on the subject. I now speak regularly to high school students during prom season and college students for Alcohol Awareness Week, trying to put a human face on grim statistics: In the United States, a brain injury occurs every 18.5 seconds. Neil is proud of my spokeswoman status. He, too, wants to spare people the struggles he has had to face. During the spring of 2012, I spoke at a pre-prom assembly at Coyle & Cassidy High School in Taunton. I moved back and forth across the stage, contrasting what had happened at our home the night of the crash with what had happened at the house where the drunk driver was partying. In 2004, the Rev. 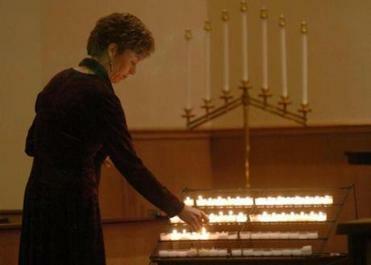 Laura Biddle led a memorial service for the teen at the city’s Central Congregational Church. At our house, Trista was planning to walk home alone, convinced that if she showed up without Neil and before curfew, her mother would agree to let my son come over for a while. “And off they went,” I told the crowd after a solemn pause. “Meanwhile, on the other side of town,” I told them, moving to the other side of the stage, “a game of beer pong was starting up. Do you guys know what beer pong is?” I asked my young audience. Some laughed and nodded. Others looked nervously at one another, not knowing how to respond, knowing how my story ends. As at all of these events, many of the kids crowded around me afterward, too shy to ask questions in front of an auditorium of their peers. “What happened to the drunk driver?” one girl wanted to know. “He’s still in prison to this day.” My reply literally made her stagger a step backward. “Whoa,” was all she managed after that. “I was hit by a car last year,” a teenage boy told me. “I was in a coma for a week.” He shrugged and smiled. “But I’m OK now.” I wanted to hug him, but settled for just shaking his warm, sweaty hand. In my pediatric practice, I rarely talk about the crash. But occasionally — when one of my young patients tells me he doesn’t drive drunk, just buzzed, for example — I’ll play the crash card. Eyes widen and swaggers dissolve as details of that night unfold. WHILE I HAVE BECOME AN ADVOCATE for brain injury survivors and their families, Neil has become an advocate for himself. Although he had struggled through college with depression and memory loss, he entered a full-time PhD program in math education last year at the University of New Hampshire with eight years’ distance from his injury and new determination. I choked on my mashed potatoes. “I’m taking them to the Disabilities Office at school. See if I can get extra time to take tests,” he answered, mouth full. I eyed my son, trying to discern signs of angst or despair. But he looked placidly back at me, chewing his steak. “Are you struggling with school?” I asked, worried that he was drowning in homework, overwhelmed. He shook his head and smiled. “Just trying to stay ahead of the curve,” he responded. I sighed, relieved. I thought back over the years since the accident. When he was in high school, I was the one advocating for Neil, requesting adjustments in his course load, exemptions from certain requirements, a truncated school day. In college, try as Neil might to utilize extra help, the stress of academic life strained him close to breaking. One night during his second spring semester, I drove four hours to New York in the middle of the night after a desperate-sounding phone call from my son. “What am I supposed to do, Mom? Just what am I supposed to do?” he kept asking me, voice cracking. On the way there, I called the head of mental health services at his school and a family friend, now a chaplain, for advice and support. When I got there at dawn, Neil seemed over his crisis. He finished the semester, despite my offering to take him home right then and there. And now, here was Neil, a straight-A graduate student, a teaching assistant, working confidently toward his dream of becoming a math teacher. Neil has supported me in the writing of my memoir, from which this is excerpted. He has read every word of it. I gave him veto power over the whole thing, promising not to publish anything he felt too sensitive. He never exercised that power. In some ways, the book has given us a chance to talk about things we otherwise might not have — his ongoing struggles with anxiety, his feelings about the drunk driver, currently in a prerelease program in the Boston area and awaiting a parole hearing in September. If you met Neil today, you would see a quiet, intelligent young man. You might even be treated to a glimpse of his dry, quick wit. He still sees a therapist. His leg aches on rainy days. He would be the first one to tell you he is a different person than the one from before the accident nine years ago. Perhaps the changes are subtle, only seen by his father and me. We sometimes wonder whether certain characteristics — a slow response here, a stony silence there — are a result of his traumatic brain injury or just his personality, who he would have been without the accident. “I wonder that sometimes myself,” he told me recently when I shared this thought with him. Dr. Carolyn Roy-Bornstein is a pediatrician in private practice. Send comments to magazine@globe.com. From the book Crash: A Mother, a Son, and the Journey From Grief to Gratitude, by Carolyn Roy-Bornstein. Copyright © 2012 by Carolyn Roy-Bornstein. Used by permission of skirt!, globepequot.com.